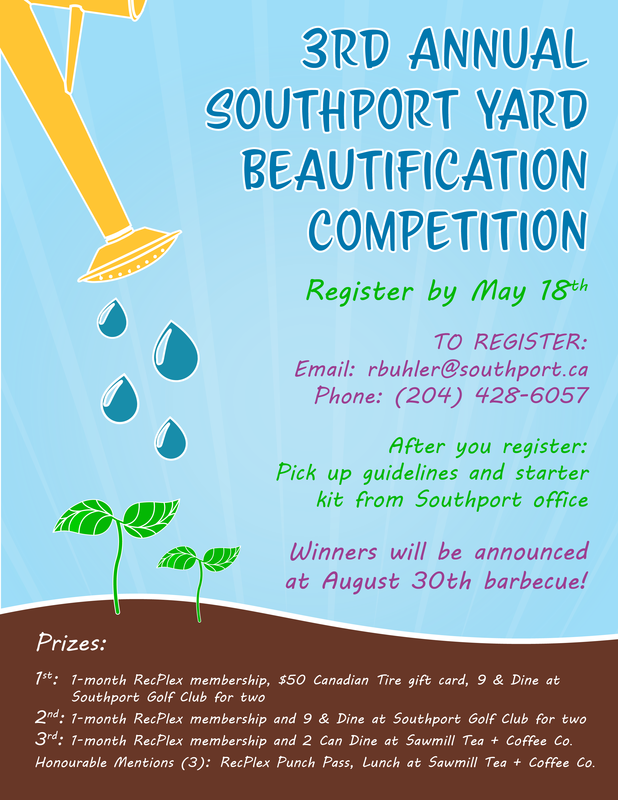 Sign up before May 18 to be entered in the Yard Beautification Competition! Passes to the Central Plains RecPlex and other exciting prizes will be awarded to the best looking and well-maintained yards. Winners will be announced at the August 30th Barbecue. Email rbuhler@southport.ca to sign up or for more information.